Most of the instruments in a lab are used in the sample preparation stage. This can be a rough and dirty environment with lots of dust, acid gases, etc. Instruments like AAS, balances, titulators have to operate under these conditions linked to the computers used to capture the instrument data. The instrument computers can take a precious space in an already crowded workbench. 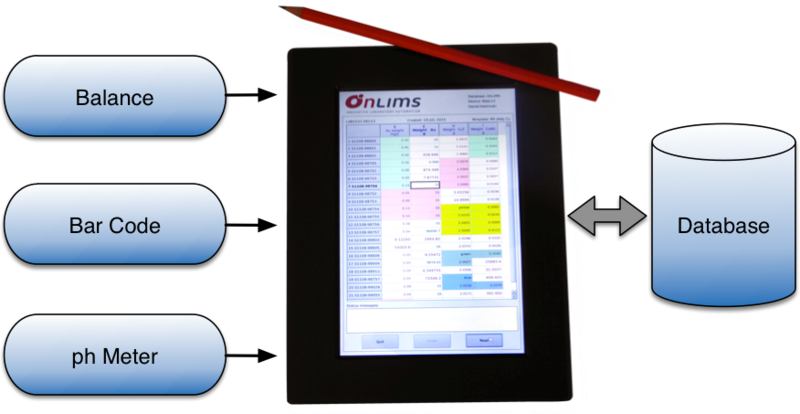 To address this issue Online LIMS offers a cost efficient, small foot print and low maintenance solution. 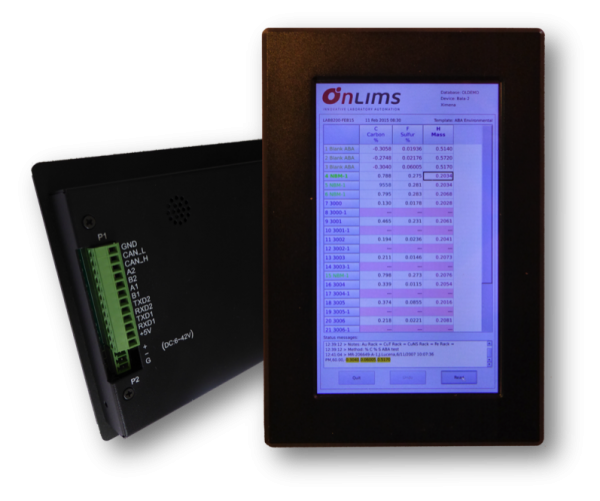 The Electronic Lab Notebook device that communicates between the instrument and the LIMS database. 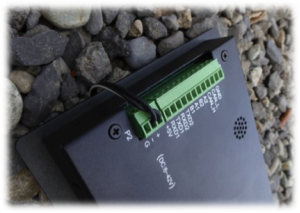 Tech overview: eWSH is a Linux embedded device that reads the RS-232 serial port (COM), parses the data and stores it direct into the LIMS MS SQL database. 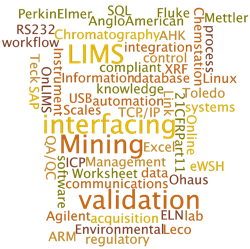 Keywords: LIMS, Linux Embedded Arm, Qt-Creator/C++, MS-SQL Server, MySQL, RS-232, BC Scanner, IoT. The eWSH is a basic version of the Online Worksheet embedded on a device. The operation of the eWSH is done through a capacitive touch screen or by the use of a barcode device. This is a basic operation because this device is only intended to read online data from the instrument. The technician has to prepare the worksheet on a workstation (a Windows computer) as usual, then go to the instrument and collect the data using the eWSH. The calculation and review are done in the workstation. The eWSH installation is very simple. It can be ordered like any instrument without the request of the IS department. To communicate with the instrument a RS232 cable is necessary. The eWSH is connected to the network via a standard Ethernet cable. The eWSH operation is very easy to learn. The touch screen permits an intuitive operation, so only basic training is necessary. The operation of eWSH starts with a standard LIMS log-in: user and password, previously registered in the LIMS. This is the standard procedure like the other Online LIMS applications. Once logged in, the operator will not be able to modify a worksheet. He can only access columns linked to the selected eWSH device. From the data safety perspective, this is a lot safer approach than having a Windows PC located on a remote sample prep room. All auditing works like the full desktop app Online ELN Worksheet. The full audit data is stored on the LIMS database. All instrument rawdata is stored on the WSH instrument tab. Additional QA/QC can be done by initiating an instrument calibration right after the first login, during the current defined shift. The eWSH will ask for the calibration of the instrument. The procedure is very simple: the operator has to scan the QC barcode label to read the standard. The value is stored directly in the predefined standard record (weight WSH for a balance). Sample ID is selected from a list, filtered by this device.